5 star rated CruiserSUP® Escape AIR are super versatile, durable and light, with weight starting at 16 pounds. Great in choppy water, due to more refined, narrow nose than round nose boards. Premium quality, supported with 2 year warranty. 7 sizes (up to 5 colors to chose from). Match rider weight, ability and needs - because board ranges with one size do not fit all. You are looking for a super portable, durable inflatable with stiffness that rivals non-inflatable boards. With the Escape All-Terrain AIR's impressive 18psi inflation capacity, you will have all the stiffness, glide, and tracking of a non-inflatable, just in a much easier to store and transport form. The Escape All-Terrain AIR lets you go paddling anywhere, at any time. Simply inflate and start exploring your local lake, river, surf spot or dream remote paddling destination. Great for SUP yoga practice. Length: 7'11" 8'5" 8'10" 9'5" 10'2" 10'8" 11'4"
Width: 31" 31" 31.5" 31.5" 32" 32.5" 33.5"
Thickness: 4.25" 4.75" 4.75" 4.75" 4.75" 6" 6"
Fin Type: Center: 9" & 6.5"
Side: 2 Center: 9" & 6.5"
Side: 2 Center: 9" & 7.5"
Side: 2 Center: 9" & 8"
Comes standard with a removable center box fin and 2 small fins for better performance and tracking in the surf and flat water. 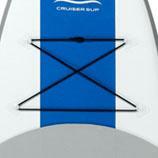 Easy transport and storage of your board, paddle and pump with the Cruiser SUP Back pack. 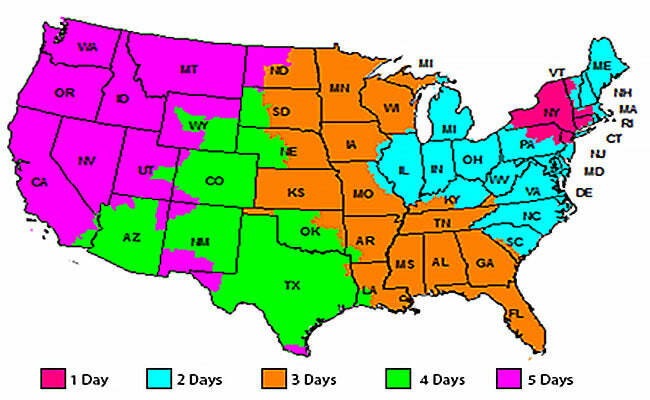 Inflatable Board Orders Received Before Noon (Eastern) Monday to Friday Ship the Same Day. I've only had my paddleboard about a month, but I love it already! 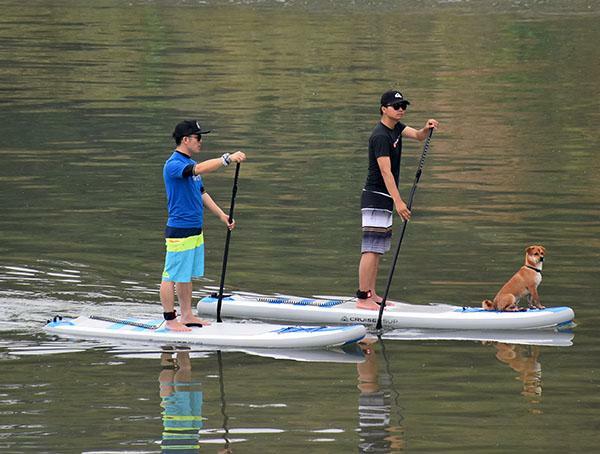 I'm still new to paddleboarding, but I find it so relaxing, while also being a good workout. I was very impressed with the quality of the product itself. I wasn't sure an inflatable would be sturdy enough, but once it's inflated you can't even tell it's not a solid board. I mainly paddleboard from the back of my boat and it didn't take me very long to learn to mount and dismount from the swim platform. Inflating and deflating is much easier and faster than I expected also. Overall, it's has been an amazing experience and I look forward to many years of fun and fitness. So much fun! Incredibly stable and easy to maneuver-even with playful dolphins and boat wakes around me. Very light and easy to carry-I’m only 5’2” and had no problems loading it already inflated into the truck. Extremely helpful staff rapidly answering questions I had before purchase. Both Boards arrived very quickly in time for Christmas in spite of me ordering super late. Cant wait to get them in the water as soon as the weather permits. We haven’t had a chance to use it yet, but the service and website were both done very well. We live in Wisconsin so we have to wait for the polar vortex to leave us. I love going on adventures on my board! Great for yoga , very sturdy!